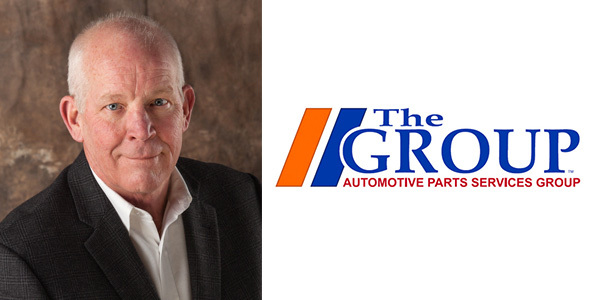 Here’s our Q&A with Larry Pavey, president and CEO of the Automotive Parts Services Group (The Group). CM: What were some of the highlights for The Group in 2018? LP: In 2018, the focus for The Group was a continued effort to create value for all of our members, work together to improve support and reduce costs in all areas. We made great strides in our information and communication initiatives for members and supplier partners. The Group Training Academy, our online training portal, experienced record growth in both content and use, and has become a valuable asset for members, vendors and customers. We introduced GroupNet, an information portal for members that provides timely, relevant information, including vendor pricing analysis and PIES information, and was developed to help eliminate omissions and errors as well as save time and effort for all. Our national accounts business had tremendous growth last year, with increased sales and several new programs introduced. The shared Co-Man warehouse operation saw record sales and member participation; it continues to be a valuable asset for members and vendors alike. While we always are focused on continuous improvement, we believe that through collaboration, stakeholders have experienced increased value. We will continue to look for more opportunities to collaborate and best serve our members going forward. CM: What does The Group have planned for 2019? LP: This year we are committed to building upon the solid foundation created through the collaboration of Pronto and Federated. While we have worked to facilitate the sharing of expertise and resources in order to streamline activities and reduce costs for our members, we know there still is room for improvement and further progress. Ultimately, our goal is to serve member and supplier needs while providing increased value for customers wherever possible. This means providing enhanced information that is faster and more accurate. It requires a focus on growing sales through closer supplier relationships and better customer support, as well as developing better management tools for improved inventory efficiency, delivery service, product-catalog data and other critical information. As the needs of members, customers and suppliers evolve, we have to focus on ways to leverage technology and our combined expertise to improve efficiency and customer support in all areas. This is a key focus for us in 2019 and beyond. LP: We feel very positive about the current business environment. Almost every industry driver is encouraging, and we suspect that this year could be one of the best in many years. The overall vehicle population is at an all-time high and, with a record number of new vehicles sold in the past few years, we will see large numbers of vehicles begin entering the prime repair age category. In addition, fuel prices have dropped in recent months and miles traveled are on the rise. These factors, coupled with more vehicle complexity, are driving growth for professional service providers. In turn, the focus on premium, quality parts is becoming more important. As the vehicle population grows faster than the number of service bays and technicians, the need for speed and efficiency increases, and this is what separates members of The Group from their competitors. While the internet provides some challenges to the DIY sector, surveys show that internet parts purchases provide no savings to professional service providers, and the added time makes internet purchases less than ideal for the best and busiest shops. This reality makes the quality inventory selection and fast, efficient service provided by The Group membership a winning combination. As long as the economy remains stable, we feel all industry trends will continue to be very positive. LP: The tariff issue has created some new and unique challenges for our industry for sure, and we anticipate this will continue for some time. While it has created some chaos for planning and pricing purposes, the tariff issue also has revealed a need for improved communications throughout the supply chain. We are working more closely with suppliers to deal with the changing environment and communicating frequently with members to understand and manage the changes. While it has been challenging, it also has been rewarding seeing the improvement in speed, processes and communications. At the same time, we also have worked with suppliers to better align future strategies and identify opportunities to improve overall value propositions. We find that some of the larger challenges today are related to regulatory and legislative issues. Certainly, meeting various state and federal regulations in a number of areas is important to our members, as many are doing business in multiple states today. Communication is more important than ever before, and providing feedback and insight to suppliers has become essential. We encourage everyone to get more involved in the political process directly – by supporting industry PACs and initiatives – as our combined efforts will have a greater impact on the future of our industry.